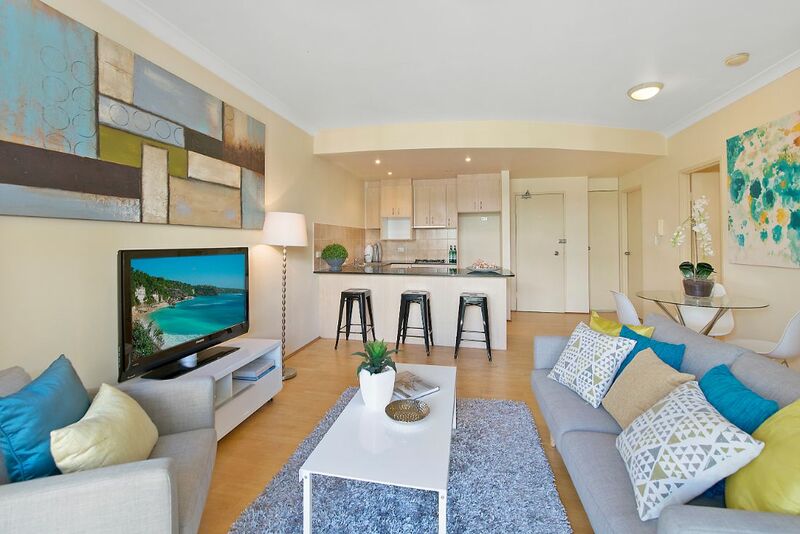 Located along one of Alexandria’s most picturesque tree lined cul-de-sacs, this apartment offers superb contemporary living within the “St Lawrence” apartments. 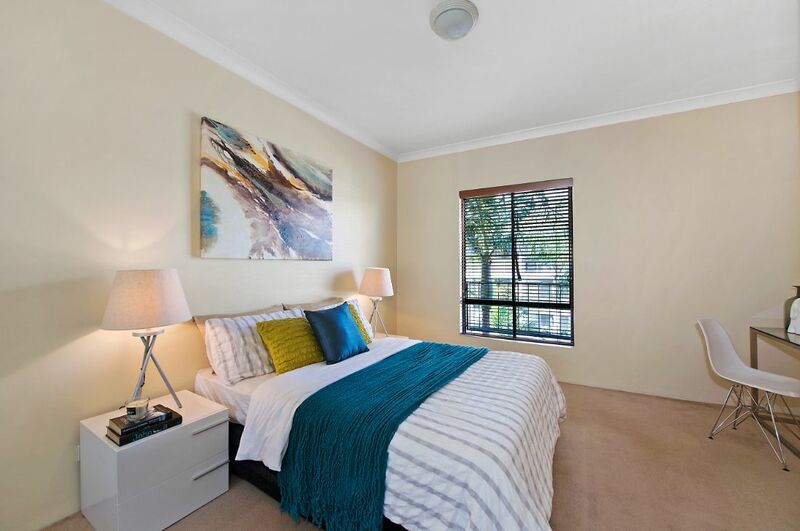 Targeting first home buyers, investors and young professionals alike, the snappy staging in this great one bedroom apartment connected with the appeal of the bustling, up-and-coming area surrounding it. Built around crisp white staple pieces, vibrant, fun and modern interiors were delivered through bright yellow and blue soft furnishings and accessories to create aspirational living, set the mood and showcase the potential of this cosy apartment. “St Lawrence Apartments” is located at 240 Lawrence Street, Alexandria. Considering short term furniture rental to sell your property?